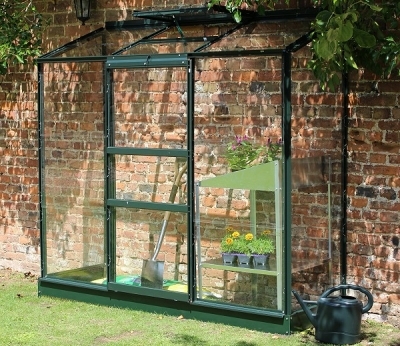 Even if space is limited or you simply want to supplement your greenhouse or require a protected growing area for a small number of seed boxes, pot plants, or vegetables – a Wall Garden is the answer. 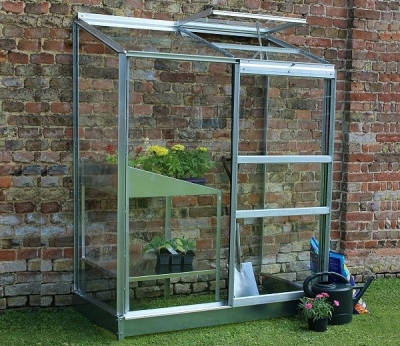 The Wall Garden range comes with one roof vent as standard.
. Horticultural - Standard 3mm float glass as traditionally used in greenhouses.